Carolyn T. Brown, Reading Lu Xun through Carl Jung Amherst, NY: Cambria Press, 2018. ix-xv + 293 pp. ISBN 978-1-60497-937-4 (Cloth $114.99). 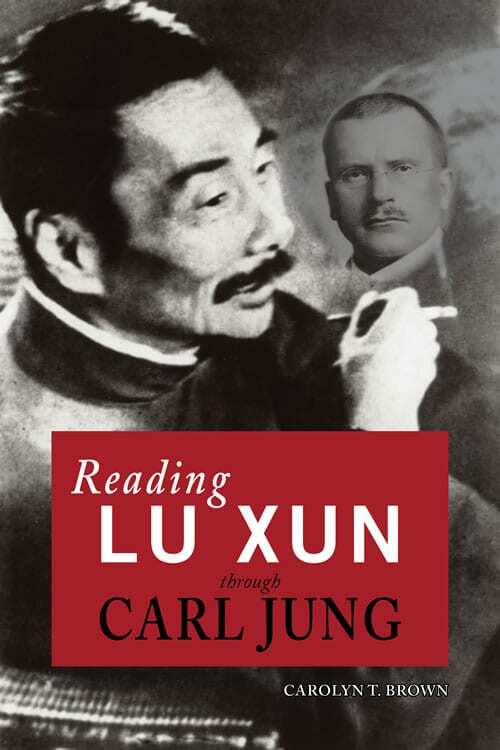 Reading Lu Xun through Carl Jung is an amply annotated, firmly grounded, and compelling close reading of Lu Xun’s short stories from the perspective of Jungian psychoanalysis. This book is also a refreshing demonstration of how psychoanalysis can provide a new dimension of access to Lu Xun’s critical insight into the problems of the Chinese psyche vis-à-vis the social discourse of his age. The author shows familiarity with the main trends in Western Lu Xun studies, from the earlier works of Leo Ou-fan Lee, Theodore Huters, and Marston Anderson, to more recent critiques by Lydia Liu and Ming Dong Gu, just to name a few. Brown is concerned with what makes Lu Xun tick, not the authorial intention of his creative works, but his own inner workings as he grapples with issues of the Chinese people’s psyche, issues he himself faces and works out through his writing. Brown’s Jungian model, which includes a bifurcated ego/shadow inner tension, yields intriguing explanations concerning the process of therapy and identification of a cure—both for self and society—primarily grounded in challenging the individual’s resistance to change. Reading Lu Xun is dense (especially for novitiates to psychological analysis) but rewarding. It is composed of a detailed introduction, four main chapters, a conclusion, and an epilogue. Occasional in-text simplified Chinese characters are used for story titles and critical terminology. Introduction: Encounters with the Text. This succinct summation describes the historical milieu and Lu Xun’s biographical background, thus setting the first stage for application of the author’s distinctive methodology. Herein are sketched the early twentieth century conditions faced by young intellectuals in China, against which Lu Xun’s specific experience as a student in Japan (a direct cultural comparison) are set. Readers are introduced to how he came to submit his first short story (“A Madman’s Diary”) for publication, as well as his activities in literary circles, his political critique, and his various moves from Beijing to Guangzhou and, finally, out of concern for his safety, to Shanghai. The autobiographical approach complements the application of Jungian psychoanalysis, as will be demonstrated, and Brown treats the twenty-five works in Lu Xun’s two collections of short stories as “reminiscences” while using appropriate qualifiers to keep literary critics at bay. As such, we also find a brief explication of studies of Lu Xun, which is helpful in differentiating Brown’s particular approach and orienting readers to the idea that something is unique about Reading Lu Xun. Included as well is the intriguing suggestion that, as China changes over time, Lu Xun’s stature may diminish but his “importance among those taking inspiration from his spirit of truth-telling” remain highly relevant (15). The heavy lifting—that is, the detailed discussion of Jungian psychoanalysis—begins in Chapter 2, but the introduction also contains a section titled “Therapeutic process, the metaphor of healing, and the definition of cure,” which helps to contextualize the study’s analysis of Lu Xun’s fiction in its relationship to his biography and Chinese history. Brown is strategic, incrementally introducing readers to Jung’s method of psychological analysis and its relevance in the examination of Lu Xun and his works. Part of Brown’s approach, which demonstrates the scholarly rigor employed throughout Reading Lu Xun, is to integrate valuable insights from other Lu Xun scholars when they resonate with and inform aspects of her Jungian analysis. Instead of rejecting previous scholarly interpretations of Lu Xun’s works, she carefully demonstrates how her multi-faceted and multiply-informed project opens new vistas of insight into Lu Xun’s stories. Brown is interested in how the formal qualities of his stories present a “clear pattern” and argues that the Jungian approach leads to a “psychological inquiry with vast social implications” into Lu Xun’s objective of changing the spirit of the Chinese people via a “therapeutic process.” Brown rightfully asserts that this approach shifts the focus from the historical moment (the direction of most other studies) to the deep structure of Lu Xun’s thinking, revealing “Lu Xun’s way of configuring that cultural moment and of projecting himself as an actor within it” (19). She complements this view with the hypothesis that creative writing is in some ways always autobiographical; by looking through Lu Xun’s eyes, we “can determine a very clear signifying system” (20) and thus understand the author himself. Brown nicely qualifies her argument by noting that it does not capture Lu Xun’s entire view of reality, particularly given that she addresses only his creative works. The goal is to understand Lu Xun, not society, and in that way discover what drove his creativity. This is the fundamental reason Reading Lu Xun is unique: Brown traces Lu Xun’s creativity directly out of his turn from medicine to literature and his fundamental concern with the Chinese spirit (read “psychology” here). Examining the symbolically significant structure of images in his stories demonstrates what Brown terms his “model of spiritual therapeutics” (22). Brown provocatively insinuates that this approach can explain why Lu Xun stopped writing fiction after eight years of creative productivity—he had “succeeded in fully understanding the problem” and had embedded the solution in his fiction. Readers must carefully engage with each of the subsequent chapters to comprehend how Brown arrives at this conclusion, and such engagement makes the author’s thesis progressively more convincing. A final section of the Introduction titled “Chapter summary” is helpful, preparing readers for the intriguing analyses ahead. Chapter 1: Deep Structure and Its Interpretation. This chapter introduces a “paradigm” or identifiable pattern in Lu Xun’s stories that includes victim, persecutor, onlooking crowd, and outside observer. While simple on the surface, the “paradigm” is complex. Brown convincingly develops the paradigm through analysis of the structural features of Lu Xun’s fiction in conjunction with the introduction of Jungian symbols and Jungian notions of intrapsychic dynamics and/or symbols. The complexity becomes increasingly apparent as the book progresses, expands slightly near the conclusion, and a careful reading will be rewarded despite the sometimes amorphous use of the term“paradigm.” At this point in the book, however, Brown makes clear that the paradigm is particularly well-articulated in Lu Xun’s iron house metaphor and, in part, by the Sendai slide-show incident in “Preface to Call to Arms.” In starting with the autobiographical elements of the “Preface,” she sets the stage for the introduction of Jung’s theory and practice of psychoanalysis, which comes in a section titled “The Archetypes: Ego, Shadow, Self.” Brown’s interpretive paradigm is asserted to be a “pattern of psychological and power relationships among the parties” that is found not just in the slide show incident but also repeated in three other specific recollections in the “Preface,” as well as in many of his stories (38). Readers are asked to accept the assertion that Lu Xun consistently explored the paradigm over the eight years he wrote fiction, ample evidence of which will be provided in later chapters. At this point it is important to understand that this paradigm—Ego, Shadow, Self, engaged in psychological and power relationships—embodies a process articulated by Lu Xun that might challenge and change the Chinese psychology. Elements include “a bipolar (soldier/spy) closed system (the encircling crowd) viewed from an external point (Lu Xun in the lecture hall)” and an “authorial consciousness” (39). Repetition is important, and three other metaphors in the “Preface” are shown to participate in this structure and become threads throughout Reading Lu Xun: “the boundless desert, the vignette of the hanged woman, and the image of the iron house” (40). A close reading of each of these metaphors and their recurrent structure demonstrates aspects of Lu Xun’s outlook and positioning as healer with a cure. The reoccurrences of the paradigm describe a therapeutic model, termed “spiritual therapeutics”: description of illness, analysis of cause, course of treatment, and cure (definition of the nature of spiritual health) that Lu Xun eventually worked out for himself (57), and which Brown elicits through the use of Jung’s psychoanalysis. Part 2 of this first chapter is titled “Lu Xun, Carl Jung, and a Therapeutic Model.” It introduces Jung’s psychological model of healing, with the crucial qualification that this is not a model used by Lu Xun, but rather a model that can help us understand “Lu Xun’s analysis of Chinese spiritual illness” (59). Jung’s model is an “analysis of human personality, described in its briefest structure as a Self comprised [of] the conscious and unconscious mind in dynamic inter-relationship” (59). To reiterate, Brown’s approach offers insights into Lu Xun’s thinking through psychoanalysis; it is not an assertion that Lu Xun was influenced by Jung (although they were near contemporaries and both influenced by Nietzsche, among others). Brown states: “In short, Lu Xun and Carl Jung drank from the same well. . . . [T]his study references Jung as a model, not as influence” (62-63). The analysis gets quite dense here, but Brown nicely sketches Jung’s concept of the psyche as comprised of the conscious mind and the unconscious, or the Ego and Shadow, which interact to shape the Self. Importantly, this is a process of “working through” at the psychological level, which is how Brown interprets Lu Xun’s stories in an autobiographical sense. He works out his cure for the Chinese psyche through his fiction. Again, Brown is careful to include caveats to her use of Jungian terminology, particularly with reference to the term “autobiographical” and notion of “reading backwards from the text to the person” (70). Here we see the unique insight gained by the psychoanalytical approach: an explanation for why and how the self-slap operates in the individual without specifically extrapolating to society as a whole. Brown references a number of scholars on scapegoating, including Jungian Erich Neumann, who “saw scapegoating in psychological terms as the Self’s projection of its own shadow onto the material world” (93). Brown thereupon traces six features of scapegoating exhibited in the story. For example, the power holders use scapegoating as “ritual sacrifice” in an attempt to maintain social and political control. Brown sees as evidence of Lu Xun’s “prophetic vision” the fact that the scapegoating of Ah Q does not satisfy the long term problem with Chinese spiritual disease. She concludes that the story “facilitated disintegration, revealing the system’s last throes and unmasking the process” and is thus a “radically subversive story” (120). To this reader, Brown’s creative analysis of scapegoating in the story, of the ways “Lu Xun’s paradigmatic structure is fully at play in his creative analysis of scapegoating” (122), is fascinating. A section titled “From Scapegoat to Martyr” deftly and convincingly parses the structure: “Scapegoatings and martyrdoms both require the same four parties: ego/persecutor; shadow/victim; crowd; and narrator” (123). A section titled “The Aftermath: The Sixth Feature” extrapolates from psychological analysis to consider the potential therapeutic effect of ritual sacrifice, such as the execution of Ah Q. Here readers see facets of Lu Xun’s prophetic vision in “The True Story of Ah Q”: he demonstrates that real revolution can only be anticipated, in that the “power holders discover that projecting the shadow on Ah Q provided only transient relief” (118). The dense analysis requires a seriously alert reader, but that reader is rewarded with insights and the psychoanalytical critique becomes gradually more convincing as the book proceeds. A final section titled “Scapegoats and Martyrs: Christ, Ah Q, and Oedipus Rex” is indicative of the extent to which Brown goes to flesh out the concept of scapegoats and the Jungian perspective on paradigmatic characterization; it also expands beyond his stories into Lu Xun’s Wild Grass prose-poetry collection with a look at “Revenge II,” in which Lu Xun explores the death of Christ. Chapter 3: Rehearsing the Paradigm. This chapter expands the author’s analysis to a number of other Lu Xun stories and demonstrates that parts or most of Lu Xun’s “spiritual therapeutic cure” is identifiable in the structure of not just his most famous works, but his lesser stories as well. In addition, the application of psychoanalysis is further developed to include the concepts of “dualities,” “doubles,” “splitting,” and first-order and second-order changes as challenges to the system of power. In this chapter, Brown analyzes “The New Year’s Sacrifice,” which includes “three tellings” by the narrator within the structure of the story; the analysis lends itself to the introduction of “doubles,” the literary manifestation of Jung’s unconscious as elucidated by Carl F. Kepper. Analysis of the story here compellingly demonstrates the strength of Brown’s approach. For example: “Xianglin Sao frightens other characters because any voice from the ‘unseen’ and ‘unsaid’ threatens the social structure. While often the shadow figures present an issue related to class structure, the Jungian pattern reveals the issue for Lu Xun to be both sociological and psychological” (151). The Jungian paradigm[s], including the notions of doubles and splitting, is elicited in a number of stories from Lu Xun’s first collection, A Call to Arms, such as “Kong Yiji,” “Tomorrow,” “Storm in a Teacup,” “The Story of Hair,” “The Double Fifth Festival,” and “The White Light.” Critics commonly note the difference in tenor between Lu Xun’s two story collections, but Brown’s analytical approach interestingly suggests a psychological explanation of why Wandering differs from the earlier A Call to Arms: “When Lu Xun resumed writing stories almost a year and a half later, he once again reintroduced the paradigm. However, in this second collection the relative distinctiveness between ego and the shadow is blurred further as the narrative voice frequently becomes more complex” (160). The author’s analysis of stories in Wandering, such as “In the Tavern” and “Regret for the Past,” is compact and engaging and can stand on its own, without the depth of psychoanalytical contextualization, in part because Brown weaves in reference to other scholar’s takes on the stories, but still solidly demonstrates aspects of Lu Xun’s Jungian-inflected paradigm. Each story offers varying degrees of adherence to the paradigm, and the author’s analysis of Lu Xun’s penultimate story, “Brothers,” is especially interesting because she addresses it as a complement to the fraternal discourse in Lu Xun’s first story, “A Madman’s Diary.” Brown demonstrates a conflict between the ego and shadow (waking and dreaming/sleeping state) and shows that psychic healing is a process of the narrator coming to grips with disturbing elements of his dream regarding his brother’s illness, which “results in the ego’s incorporating knowledge from the unconscious and being humbled by it” (198). There is depth to this book that exceeds the space allotted here to describe it. For example, a section titled “Dreams” further fleshes out the application of Jungian psychoanalytic theory and orients readers to Brown’s conclusion that Lu Xun was prophetic. Here she introduces dream images from Lu Xun’s collection of prose poetry, Wild Grass (the main focus has to this point been on his short stories). From seven dream narratives in Wild Grass, the author selects “Dead Fire” as the best example of Lu Xun’s paradigm, noting its closed structure (iron walls), personification of a split psyche (ego and shadow in dialogue), a narrator who shouts to wake the sleeper, and indeterminacy of hope for the future (200). Interestingly, Brown briefly mentions “The True Story of Ah Q” as the only other example of a story containing a dream in Lu Xun’s stories besides “Brothers,” and makes the case that “Ah Q thinks shadow thoughts whether awake or asleep” (202), which seems to suggest how Ah Q can be read as predictive of the Chinese people’s readiness for revolutionary change. Wanting to eat men, at the same time afraid of being eaten themselves, they all eye each other with the deepest suspicion. Lu Xun’s achievement was not just to hold up to the light dysfunctional social patterns that, once named, might be changed, but also to represent in symbolic form the transformational process and the resolution of the problem of spiritual illness. His stories reveal that it was possible, though scarcely likely, to accomplish healing within the context of the family and the individual. Reading Lu Xun mirrors the structure and insights of the Jungian-inflected therapeutic process the author laboriously teases out of Lu Xun’s works: diagnosis (chapter titles: Encounters with the Text; Deep Structure and Its Interpretation), investigation of solutions (chapter title: Anatomy of a Scapegoating), formulation and implementation of a plan to produce the change (chapter title: Rehearsing a Paradigm), and defining of the change to be achieved (chapter titles: Healing Spirits; Inner Mastery, Prophetic Vision). Finally, to better understand “Lu Xun’s Prophetic Vision” the author relates psychoanalysis to art, in that both “restore ‘the original feelingful matrix of thought and perception’” (231). There is a lot to think about as Brown’s analysis goes from the earlier minutiae of Lu Xun’s work to this concluding theory of art production. While recognizing the perils of attempting “to draw the dotted line between the content of the stories and biographical details,” Brown notes, “Jung granted that the Freudian approach adds depth and sophistication to the long-held understanding that an artist’s biography often finds expression in art” (232). The author cites psychoanalyst Gilbert Rose on the connection between art and healing, and “his belief that literature can perform this function” (233), concluding that “Lu Xun projected himself as all of the characters, rehearsing and resolving the problem of ego/shadow relatedness in a range of arenas through symbolic forms” which “enabled his readers to ‘know feelingly’ and integrate a new understanding of longstanding social and human issues with affective response” (234). Reading Lu Xun through Carl Jung closes with a section titled “Lu Xun and the Public Moral Imperative.” Herein the author describes Jung’s view of art in society, the role of which is “analogous to that which the unconscious plays in the individual . . . articulating unconscious forces or figures that are pressing for acknowledgement and expression” (235). Lu Xun wrote his personal experience into his fiction, thus offering a way to heal Chinese psyches one by one, gradually through the repeated individual struggle between ego and shadow. Although Brown has applied this analytical approach only to Lu Xun’s creative works, one can’t help but wonder whether reading Lu Xun’s multitude of essays through Jung might be similarly productive. I hope there is another book in the making.